Ferdinand Georg Waldmüller, who was born in Vienna on January 15, 1793, was one of the leading 19th century painters in Austria. He had been associated with the Biedermeier era, a period that sprung between 1815 and 1848 in Central Europe. It was a period when the middle class gained prominence and the arts appealed greatly to common sensibilities; when artists became dedicated to portraying a pious and sentimental world view realistically speaking, and art themes boosted the feelings of simplicity, traditional pieties and feelings of security. 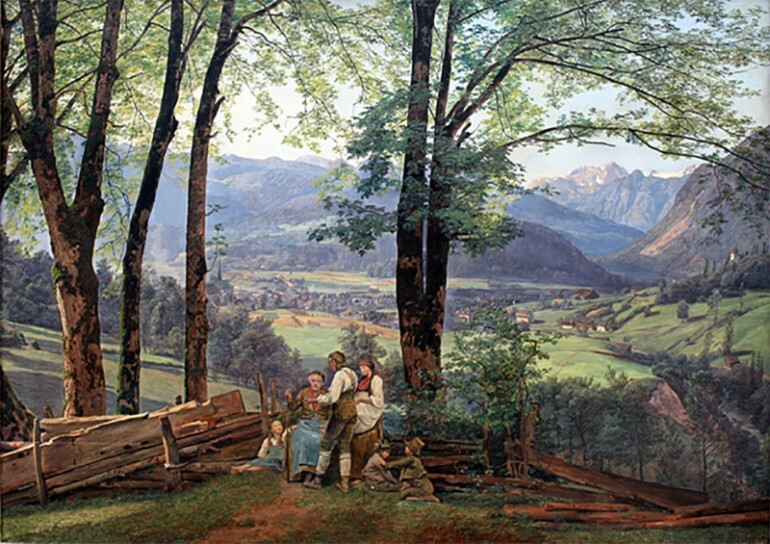 Waldmüller was an excellent genre and portrait painter but it was his landscapes that made him a memorable artist. He was specifically noted for his detailed naturalism, which was what a realist painting’s foundation should be. In 1829, at the age of 36, Waldmüller became a Professor of Painting at one of Austria’s best art schools, the Vienna Academy. He had a difficult time while teaching at the Academy because he cannot agree with the school’s old fashioned style of teaching. He would later write many expositions on fine art painting, illustrating his progressive ideas on art education. Waldmüller was a leader in many art subjects during those times. 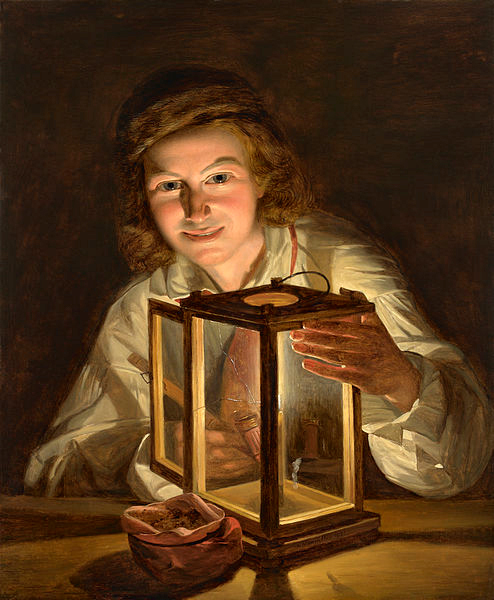 He created still lifes, genre scenes, landscapes and portraits. He captured all the details of the scenes and subjects before him, rendering textures, facial expressions, distance and proximity, even the wittiness of rural folks, in exquisite and fine detail. In his works, Waldmüller showed his criticism of society while he moralized, explained and described what society was all about. In the latter part of his career, the great master took genre painting into new heights, melding it with a portrayal of nature to produce work that’s fully harmonious in its entirety. Waldmüller was a contemporary of German artist Caspar David Friedrich, but the manner in which they captured nature was vastly different. Ferdinand Georg Waldmüller studied briefly at Vienna’s Academy of Fine Arts. Because he needed to earn a living, he focused on creating various forms of applied commercial art, portraiture and teaching. Briefly he became the art teacher of Croatian Count Gyulay’s children before he designed theater sets in Prague and Brun and created miniature paintings. After Napoleon was defeated in Waterloo, Waldmüller returned to Vienna early in the 19th century. At that time, Austria imposed censorship, and artists had to avoid portraying sensitive political and social topics, forcing them to focus on domestic themes. This gave prominence to the blossoming of a new style called Biedermeier, whereby the growing affluence of the middle class led to them demanding landscapes, genre paintings and family portraits. Waldmüller was only 22 at that time, and made the effort to satisfy clients’ demand, starting with portraiture. At age 30, he painted a portrait of Ludwig van Beethoven. His travels around Italy and Germany in the 1820s sparked his interest in landscapes. He took up the professorial post at the Viennese Academy in 1829 although it was brief due to his anti-Academic art beliefs, which led to him searching for Realism through landscape painting. Still, many of his portraits showed a classic style, including his ‘Self-Portrait,” done in 1828, the “Portrait of Count Razumovsky” (1830) and the Biedermeier style in works such as “The Family of Councilor Ritter von Neuhaus” (1827) and “The Eltz Family” (1835). Considered the greatest works of Waldmüller were his landscapes, which explicitly showed his skills and specialization in light and detail and his use of strong colors. For him, nature was the only model for painting, which he captured in great detail and naturalism. In his landscape compositions, young people and happy groups of children were often included, but he still showed the daily back-breaking rituals of rural life. From 1830, his use of colors and light in his work leaned more into the Impressionistic style, which he employed in his en plein air paintings, like in “The Schonberg Seen from Hoisernradalpe” (1833) and “Early Spring in the Vienna Woods” (1864). Ferdinand Georg Waldmüller had critical influence in 19th century German and Austrian art and was hailed as one of Viennese Biedermeier style’s important exponent, in part due to his skills in capturing the innate beauty of Vienna’s rural region in his naturalistic landscapes, his sensitivity in his portraits and the endearing domestic scenes that he captured realistically in his genre paintings. Moreover, Waldmüller was one of Austria’s best miniature painters.